Want to help a dog find its “forever home”? Rescue centres are full to bursting with rejected dogs and hundreds are being imported from abroad, so it may seem better to re-home rather than buy a purpose-bred dog. Rescue dogs can make wonderful companions and rescue centres can be a good source of cross-breed dogs as well as pedigrees. There are several factors that should be taken into account before approaching a centre. Anyone can set up a rescue. They are as yet unregulated and there is no requirement for rescue centres to employ knowledgable, qualified staff. Even the bigger organisations have limited resources and re-homing procedures and post-re-homing advice can be patchy. Always go to a breed rescue or a centre that has a proven reputation: some “rescue” centres are fronts for puppy farms. Many rescue centres are set up by well-meaning individuals who may not have the expertise or resources to rehabilitate dogs properly and that can become overwhlemed quickly by a contsant strream of unwanted dogs. Most rescue centres rely on volunteers, also with varying amounts of experience,for whom they provide limited, if any, training. Not all paperwork is trustworthy, including vaccination records and microchip papers, and rescues do not usually have the resources to confirm or check sources. Some rescue centres operate mainly via web sites with foster carers in various parts of the country, so it can be difficult to assess them in advance. Bear in mind, anyone can set up a rescue centre and start importing, re-homing and fostering dogs. There is a site that reviews rescue centres here. Rescue centres have various methods of re-homing dogs but most of the better ones will ask you to fill in a questionnaire and will require at least one home visit. Some will not re-home dogs with children or other animals or to people who do not have a garden or who work full-time. Some have age limits. All centres should want to ensure that they do not have “boomerang” dogs that are returned as unsuitable or worse, passed on elsewhere. This can make it difficult for eminently suitable owners who do not live in circumstances that are considered ideal. Equally, dogs can be re-homed in a house with a large garden and then are never taken out or live with someone who is at home all day but who pays little attention to the dog for hours on end or who has children that plague and pester the dog with no restrictions. If you believe that you do not fit the centre’s criteria but will be an eminently suitable owner, be prepared to argue your case but also be prepared to have to go elsewhere. Bear in mind that it takes more than a sentimental desire to improve a dog’s life to rehabilitate a rescue dog. Although responsible centres will undertake some basic training and will not re-home a dog that is considered to be dangerous or unpredictable, rescue dogs often come with a lot of “baggage” and not all is revealed in the initial days and weeks of new ownership. It has been estimated that up to 90% of dogs may exhibit behaviours that their owners find unacceptable. More than 30% of dogs relinquished by their owners to rescue shelters are abandoned because of behaviour problems and they may have already been through more than one home prior to that. Dogs purchased from rescue shelters are particularly prone to separation-related problems such as destruction and elimination when left alone. 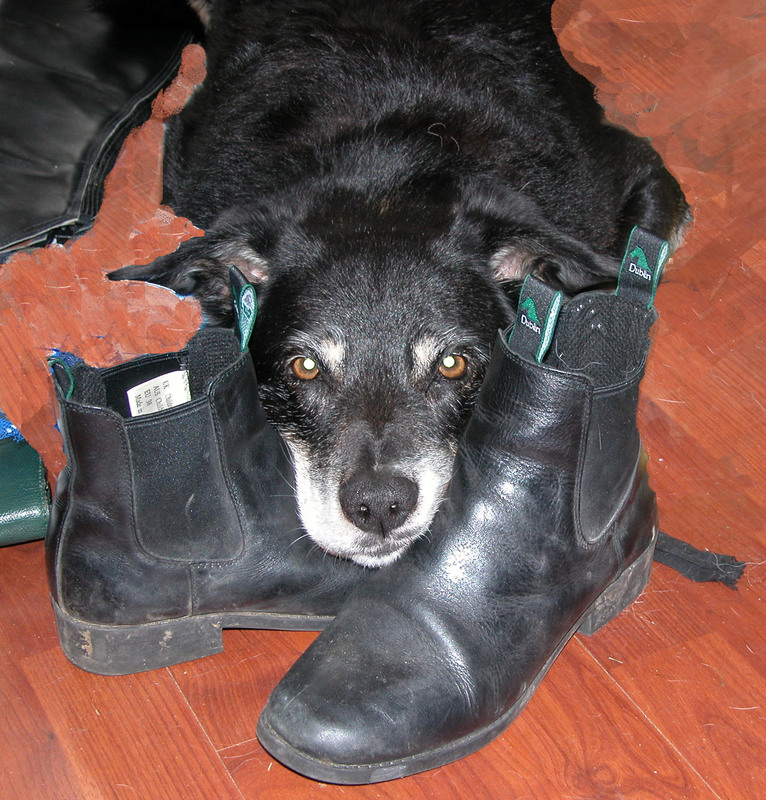 Smaller dogs may have a genetic pre-disposition to this sort of behaviour. 16.4% had allowed the dog to stray and had not seen it again. Male dogs were more likely to have shown aggression towards other dogs, sexual problems and straying tendencies than females. Female dogs were more likely to have shown fearfulness. Stray dogs were significantly more likely to have shown an undesirable behaviour within the first month of being re-housed than unwanted dogs. Fewer puppies were reported as exhibiting an undesirable behaviour within the first month of leaving the shelter than adults or juveniles but this is possibly because owners are more tolerant of puppies than adult dogs. 30% of dogs that exhibited aggression towards humans were returned to the shelter; a far higher proportion than those that exhibited aggression towards other dogs and other behaviours considered to be undesireable. Dogs purchased from animal shelters and pet stores showed a higher prevalence of social fear than dogs acquired from other sources, suggesting that caged environments may predispose animals to become fearful to the approach of unknown humans. Many trainers recommend “crate training” for dogs but for many owners, this is often just a euphemism for shutting the dog up in lieu of training it how to live in a house, just as designating a dog as “reactive” avoids admitting that it is displaying aggression. Multiply that in spades for street dogs brought in from abroad. Please do not add to these statistics by taking on a dog because you feel sorry for it or you feel that it is more moral to take on a rescue dog than a puppy from a breeder unless you are prepared to devote an enormous amount of time and possibly money to helping the dog to adjust and recognise that this may cause significant disruption to your life for a long time. If you do not have skills and experience in dealing with a variety of dogs who have been badly treated, budget for the time and costs of obtaining expert help from a qualified behaviourist. The Association of Pet Behaviour Counsellors provides details. The early days that your new rescue dog spends with you will set the tone for the future, so do not be tempted to cosset your dog to “make up” for its bad past. There is evidence to suggest that “over-attached” owners can make dog’s se[aration disorders worse. It can be hard, and sometimes impossible, to eradicate the effects of poor breeding, poor socialisation and lack of early training. All dogs require boundaries and consistent guidance which is often precisely what has been lacking with rescue dogs who then maylack the resiliance to cope with yet another change in their life. Expect the unexpected. It is not possible to know what has frightened a dog in its past and anything may cause a fear-inspired reaction, be it a flapping cloth, a man with a beard, a woman with a hat or a screaming child. Find out where your dog’s bite threshold is and be prepared to use a muzzle whilst out. Treat your new dog, whatever its age, like a puppy needing to be socialised and expose it, under controlled conditions, to new experiences. Warn other owners that you have a new rescue dog and consider using a warning ribbon, jacket or inscribed lead. The Yellow Dog project provides details and sells a variety of inscribed products. Not all rescue dogs have a bad past. Some, especially older dogs, may need to be re-homed because their owners have to go into care or because they owners have died. The Oldies Club and the Cinnamon Trust re-home older dogs. An older dog from this sort of background can be ideal for a first time owner or an owner who may not be able to commit to years of dog care. It may also be worth considering fostering a dog to see if dog ownership is for you or to gain experience of a variety of types and breeds. Again, not all dogs that need fostering come from a bad background or need fostering for long. Some may belong to owners in hospital or prison who expect to take their dogs back when their circumstances change. Various rescue organisations welcome foster carers, including the Cinnamon Trust (see above), but again, be prepared for thorough checks. There are several rescue organisations that import dogs from countries including Greece, Spain, Bulgaria, Hungary and Romania. Whilst there is no doubt that conditions for dogs in some countries are far worse than anything in the UK, we believe that it is more important to put energy into helping people in the countries where dogs suffer hugely to improve domestic animal welfare in their own countries. It costs a huge amount to prepare and import a single dog from abroad; money which could be spent on improving welfare for many more dogs in the source country. Imported dogs often fuel the puppy farm trade and have brought several diseases into the country that threaten the welfare of all dogs.